I painted this while I was living in Okinawa, Japan. There were a number of huge, beautiful trees there, with complicated intertwangled roots. 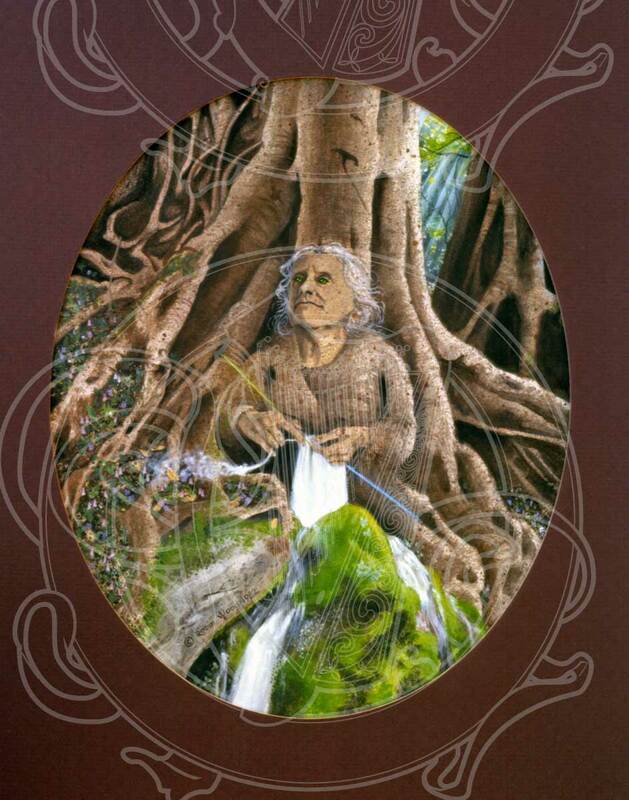 This picture, of Mother Earth as an old, strong woman, borrowing her body from the trees and knitting a waterfall out of mist, came to me while I was sitting beneath one of them; and I just had to paint it. The original was oil on gessoed illustration board. The outside dimension of the mat was 16x20 inches. The opening is oval because there was a very nice oval mat cutter at the craft center on base, and it was easier to use than the square one! You can purchase Old Mother at my Zazzle store, or just go to my Zazzle store front page to see everything available there.